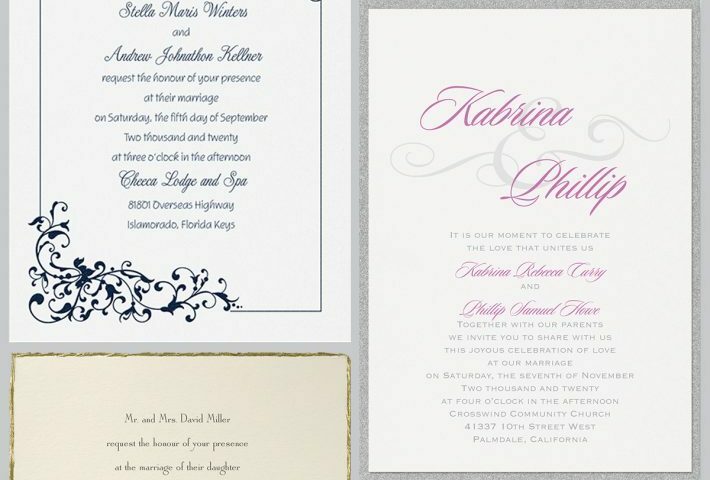 Every year we love to look back and see what some of our best selling invitations are ! It’s amazing what papers and printing processes are continually popular and which ones are gaining attention. We absolutely love our 2017 best selling invitations from some of our most popular lines that contain lasercut invitations, letter press printing and foil stamping. We think you will admire the beautiful thermography of Little Love Birds. The clean look of Charming Type, and in addition, the foil and laser-cut design of Vintage Pearls and Lace. 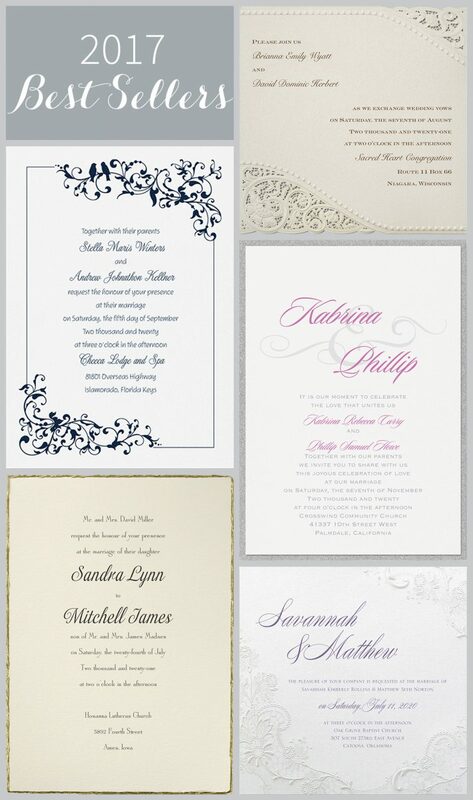 Also, most noteworthy are all the unique types of printing being used from digital to engraving, foil and glitter stamping, as well as thermography printing.